Allan Scott Single Vineyard Moorlands Sauvignon Blanc 2015, Marlborough, New Zealand – Aromatic with lemon citrus and perfumed notes with hints of passion fruit and freshly crushed herbs. The palate is elegant with citrus, passion fruit and dried herbs; the oak influence is delicate and perfectly balanced with the clean refreshing acidity giving this wine a deliciously appealing finish. Pighin Pinot Grigio DOC. 2015, Friuli Grave, Italy – Straw yellow with lightly amber-coloured tinges in color with fruity and floral aromas including banana, pineapple and wisteria flowers. Persistent, excellent body and correct balance. Château de Parenchère Cuvée Raphaël AOC 2011, Bordeaux, France – A very dense, very concentrated wine with elegant tannins that stand out, but are mellow and smooth. They are elegantly woody, but not excessively to leave plenty of room for the fruit. Prunotto Barolo DOCG 2012, Piedmont, Italy – Garnet red in colour with ample and complex aromas of violets and berry fruit, full and velvety in flavor and very balanced. Its structure and body make it an ideal match for meat and game dishes and for cheese. Robert Mondavi Winery Cabernet Sauvignon 2013, Napa Valley, USA – Deep, enticing wild berry and black currant fruit weaves harmoniously with layers of fragrant tobacco leaf, forest floor and toast in a complex ribbon of flavor that flows into a deliciously long finish in this powerful yet refined taste of Oakville Cabernet Sauvignon. 81% Cabernet Sauvignon, 13% Cabernet Franc, 2% Malbec, 2% Petit Verdot, 2% Merlot. Casablanca Vino Spumante NV, Nasik, India: Pale straw color revealing its fresh and young character. A generous fruity nose of kiwi and grape fruit layered with lime and floral undertones. Light bodied. On the palate reminiscent of pear and green apple with a predominant acidic structure. Bertani Soave Classico 2015, Veneto, Italy: Greenish yellow in colour, this white boasts a light nose exuding floral and fruity aromas. Discover this dry, fruity and light-bodied wine expressing lively acidity and offering a slender texture. It also unveils a light mouthfeel that leads into a short finish. Fratelli Chardonnay 2016, Akluj, India: Straw coloured with light green reflections, the wine has citrus aromas of orange and lemon with subtle notes of white flowers. On the palate, Fratelli Chardonnay exemplifies great balance. It reflects the freshness and minerality of the sandy soils it is grown on. An east-west sun exposure ensures proper ripeness and thus, good acidity. 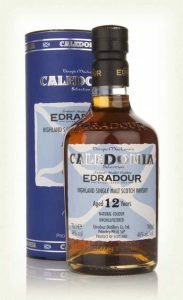 The use of French oak lends roundness and buttery notes on the finish. Elegance and structure combine together to make for a delicious wine that does justice to the varietal. Casillero del Diablo Reserva Chardonnay 2016, Casablanca, Rapel & Limari, Chile: Light lemon yellow with expressive and attractive aromas of pineapple, citrus, and vanilla. This elegant wine is balanced with bright acidity and a long, memorable finish. 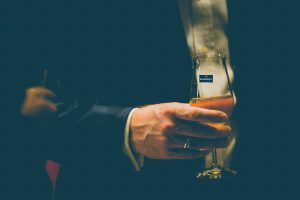 Grover’s La Reserve Blanc 2015, Nasik, India: La Réserve Blanc is aged in French oak barrels, with the fragrant notes of honeysuckle, apricot and pineapple. Rich and powerful with a long persistence, it finishes on tropical fruit, citrus and soft oak notes. Le Grand Noir GSM 2015, Minervois, Languedoc Roussillon, France: A lively Grenache-Syrah-Mouvedre with prominent notes of black cherry, blackberry, dark plum with hints of cloves and black pepper. Well structured, medium bodied with gentle tannins. Dona Paula Malbec 2016, Luján de Cuyo, Mendoza, Argentina: Intense purplish red color. 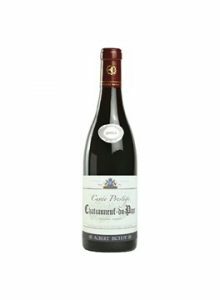 Sweet, spicy and intense aromas, with notes of red fruits and herbs (such as Herbes de Provence). In the mouth, this wine is soft, velvety, fresh, and well balanced. Sula Rasa Shiraz 2015, Nasik, India: It is a complex wine, with power and finesse. Crafted from handpicked grapes from our own estate vineyards, Rasa Shiraz is aged for 12 months in premium French oak barrels and then further matured in the bottle before release. The wine is drinking beautifully now, opulent and lush, with supple tannins and a peppery finish. Reveilo Cabernet Sauvignon Reserve 2014, Nasik, India: Barrel aged in French oak, the bouquet of this wine is exceptionally intense. The fruity notes of cherry, raspberry and blueberry are enriched with the spicy notes of pepper, cinnamon and nutmeg. On the plate, the structure is extremely full. The body is velvety and harmonious. Nose: Sweet, creamy and honeyed, with notes of Manuka honey, hints of dried fig and date, soft sherry and a hint of oak. Palate: Full and rich with notes of berry fruits, and honey and butter on granary toast. More sherry, caramel and toasted almond. Finish: Spicy, dry and sprinkled with a dusting of cocoa. Martell, the oldest of the great cognac houses hosted ART D’ ARTISAN, a fine evening for the crème de la crème of Chennai at ITC Grand Chola where Martell celebrated its 300 year old legacy of craftsmanship through art, gastronomy and conversations.. Cognac enthusiasts came together to celebrate the evolution of Martell Cognac through this finely curated evening. Focusing purely on French elegance and style, the evening witnessed chosen installations crafted by Jean Francois Lessage, scion of the legendary couture embroidery family, where the art pieces reflected the dimensions of curiosity. 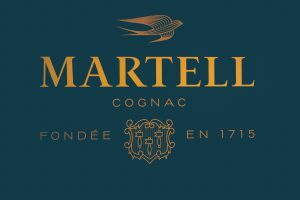 Just like the brand Martell, his designs have today become a paradigm of French artistry. Moreover, showcasing Martell’s passion for gastronomy, the evening turned each moment into a gastronomical pleasure where all the guests came together under one roof to indulge in sumptuous combinations of international and Indian cuisine. Sommelier, Nikhil Agarwal, paired these combinations with the luxury of different blends of Martell Cognac. In the first course, Nikhil and Jean Francois Lessage himself, spoke of the artistry of the French 19th century, the Martell founder’s craftsmanship and Jean Francois’ artwork. Also, being the first luxury liquor brand to collaborate contemporary art with gastronomy, Nikhil shared his thoughts on the concept of the 19th century French artistry along with Martell’s art of distillation while the guests enjoyed Martell VS served with the chef’s choice of appetizers. 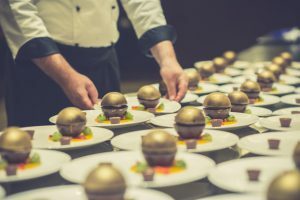 In the second course, guests were served molecular fare as Nikhil and Anil Thadani, General Manager, ITC Grand Chola, spoke about Martell’s passion of gastronomy. 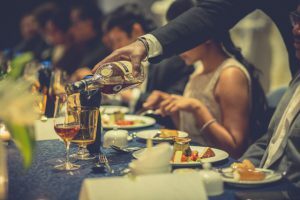 The element of curiosity was also brought alive by the chef through the use of unique ingredients and innovative presentation of the food while the guests indulged in a pairing of the main course with Martell VSOP. The evening culminated over an indulgent pairing of the Martell XO where the complimenting notes of XO and desserts were savored over a riveting rendezvous with S. Muthiah, a renowned historian, as he spoke about the French way of life, literature, art and the cultural exchanges between India and France, creating a sensorial experience. Living up to its rich legacy with French elegance, ART D’ ARTISAN brought alive a prefect amalgamation of Art, Gastronomy & Conversations, for its discerning epicureans. A classic 4 course French Wine Dinner at Sofitel that you can enjoy al fresco in the company of French wine lovers and Sommelier Nikhil Agarwal. Aroma: It is fresh, young and complex, with a whole variety of spices, including various peppers, mild paprika and ginger. Body & Taste: Generous, powerful and fat, it has superb body underlined by delicate oak. 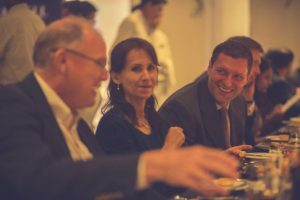 Leading Indian wineries have come together to form ‘Wines of India’ WOI, a collective body set up as an initiative to support and promote Indian wine in India and internationally. Wines selected to be part of the Wines of India programme have been selected on the basis of merit only and will represent only the best India has to offer. 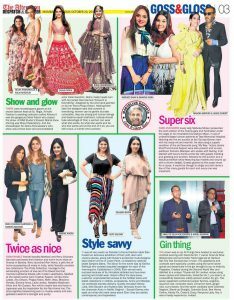 The body currently represents 12 of India’s most favourite wineries; Sula Vineyards, Charosa Vineyards, Fratelli Wines, Reveilo, Myra Vineyards, Vallonne Vineyards, Good Drop Winery, Soma Vineyards, Grover Zampa, York Winery, Nine Hills and Four Seasons. WOI has selected All Things Nice to manage all marketing activities on behalf of the entity, with Sommelier Nikhil Agarwal appointed as Director of the programme. You can now look forward to a series of exciting events and experiences celebrating these fantastic wines. Stay tuned to the event page on the website for regular updates on how you can enjoy Wines of India with us!